​Achieving weight loss and a desired slimmer silhouette is difficult and long process that can thankfully be made easier with our Osmotic Wrap. The slimming body wrap can be applied before bed and worn for six hours overnight so it doesn't interfere with your day. Or for a maximum of 6 hours during the day with your waist shaper. This weight loss body wrap was designed to provide long term results as it detoxifies your cells and compresses target bumpy areas. The Wrap can be applied to any target area on the body with the body cream of you choice. 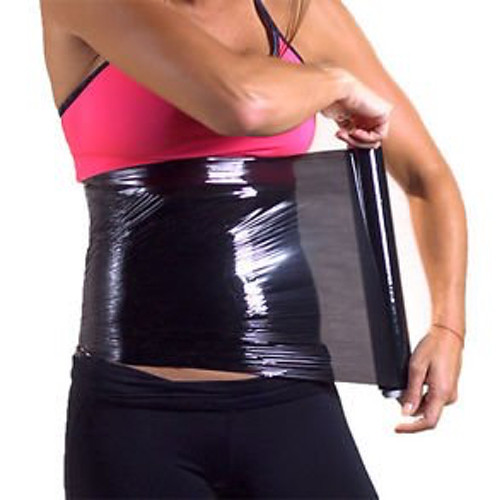 Body wrap that can be applied at home. RESULTS: detoxifies promotes weight loss FEATURES organic compounds overnight application anti-inflammatory Osmotic wrap is to be used with any of our body cream, firming cream and more to speed up the process in burning fat tissue Use it with our corsets for better results. How to use; -Apply firming gel or caffeine cream -Wrap Osmotic clear wrap around your waist -Put on your cincher.